Let’s be honest: most of us leave things to the last minute, whether it’s packing for a holiday, meeting a deadline, or preparing for exams. Having no socks on holiday is an easy problem to solve, and a lot of deadlines can be extended. But when it comes to exams, the consequences of leaving things to the last minute can be devastating. When applying for university, 1% can be the difference between acceptance and rejection, or between that R20 000 scholarship you wanted and paying full fees. As the Harvard president, Derek Bok, famously said, “If you think education is expensive, try ignorance.” The difference in life-time earnings between those with degrees, and those without, means your education is one of the best financial investments you can make. A poor foundation in Maths (for example), unless properly addressed, will create insurmountable difficulties later on for a learner. 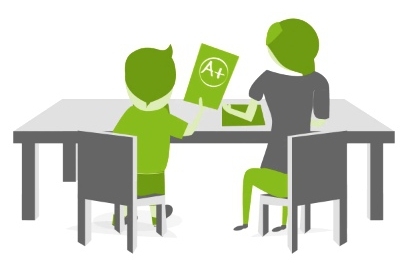 Having a maths tutor come alongside you to plug gaps in your knowledge and rebuild your confidence can make the world of difference to a struggling learner. From surveys conducted in December 2012, Teach Me 2 discovered that 93.4% of school students improved through private tutoring, with an average improvement of around 17%*. Imagine the difference in future opportunities because you achieved 82% instead of 65% for Maths! If you want to give yourself the best chance of improving this year, get a private tutor from Teach Me 2. * Improvements as reported by customers. Teach Me 2 surveyed customers who had purchased a minimum of five lessons.